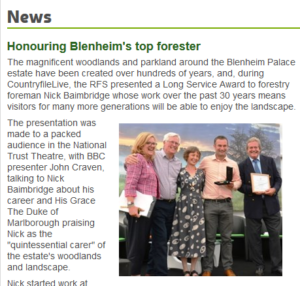 Congratulations to Blenheim Palace forestry foreman Nick Baimbridge for his recent Long Service Award from the Royal Forestry Society. We worked closely with Nick during the OneOak education project (2009-12). 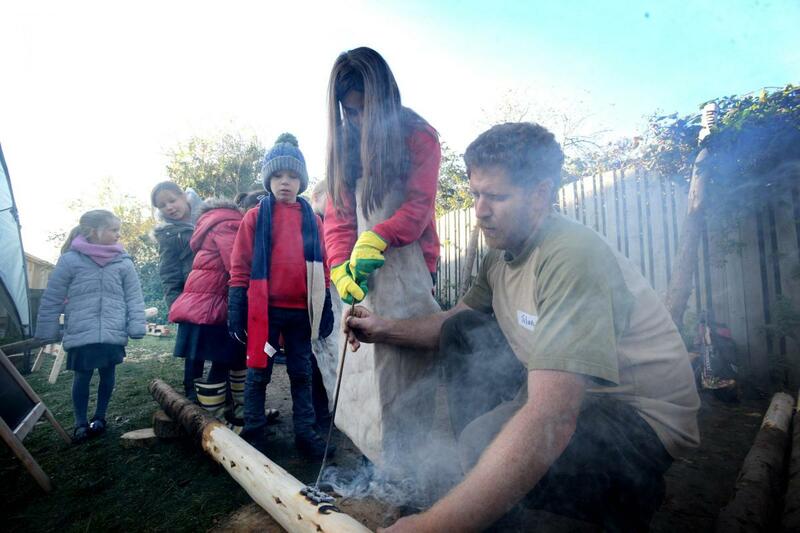 He felled the magnificent OneOak tree while watched by 350 schoolchildren plus invited guests. 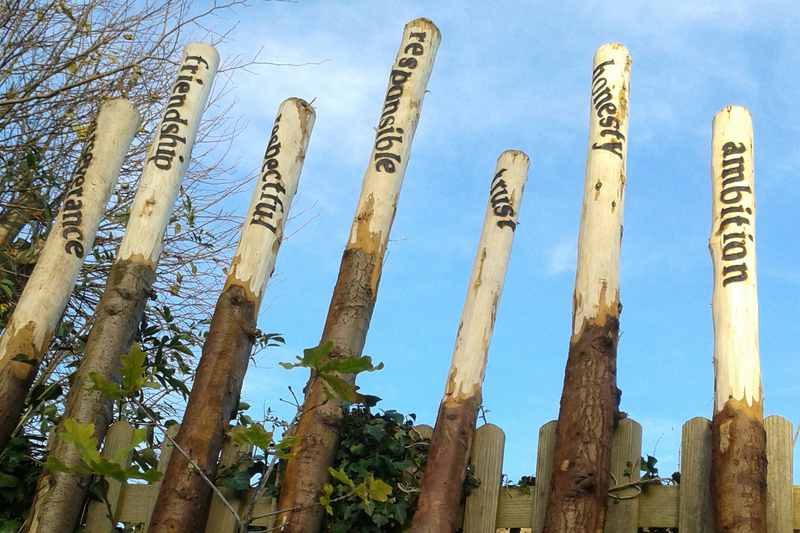 A young sapling raised from a remarkable oak tree⸺once the focus for our national education and arts project⸺has been planted by children in an Oxfordshire school. In 2010 a 222-year-old oak tree, grown in woodland on the Blenheim Palace Estate, was felled for its timber. It was donated to Sylva Foundation by Blenheim Palace as the focus for our education project OneOak. The OneOak project brought people closer to growing trees for wood by telling the full life story of the oak tree. 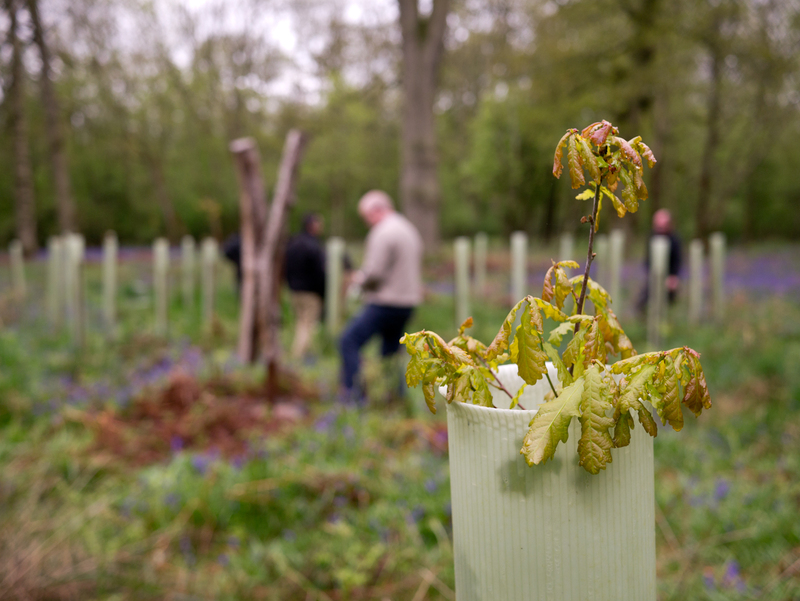 The tree’s felling was watched by 250 local school children who then returned to the woodland, planting seedlings grown from the acorns of the OneOak tree, to create a new oak forest. 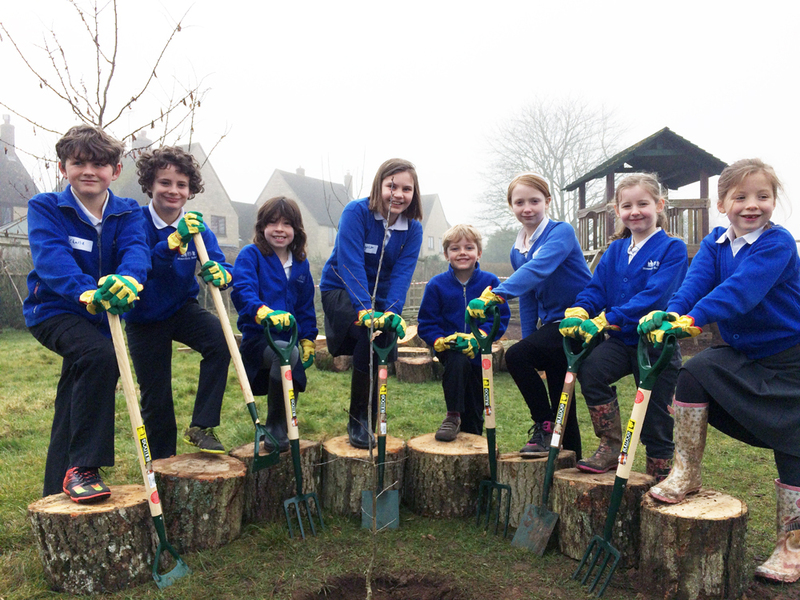 Today, children from Stonesfield Primary School⸺one of schools that took part in the OneOak project⸺were excited to be planting a young oak sapling grown from the OneOak woodland in their school grounds. In addition to the young OneOak tree, trees and flowers have been planted to create a new wild area for learning and play. 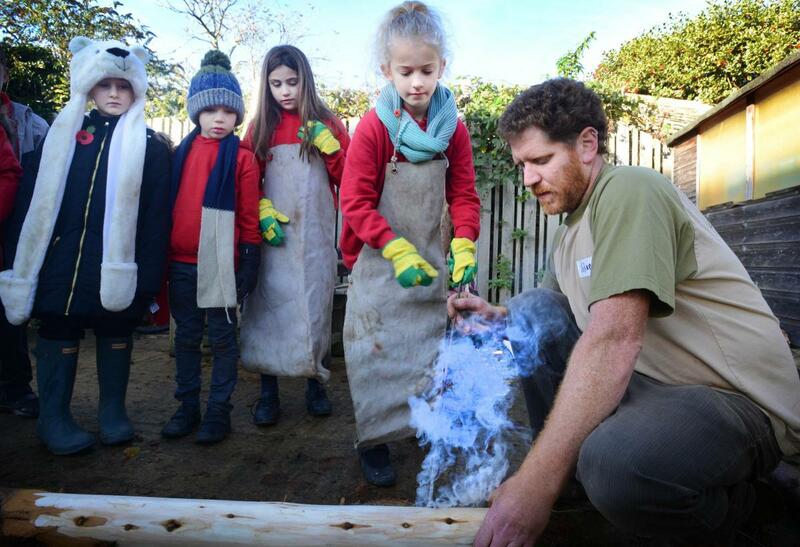 Generous support for the planting day has been provided by the forestry team from Blenheim Palace who helped the children plant trees, and provided benches and log seats made of timber from the estate’s woodlands. 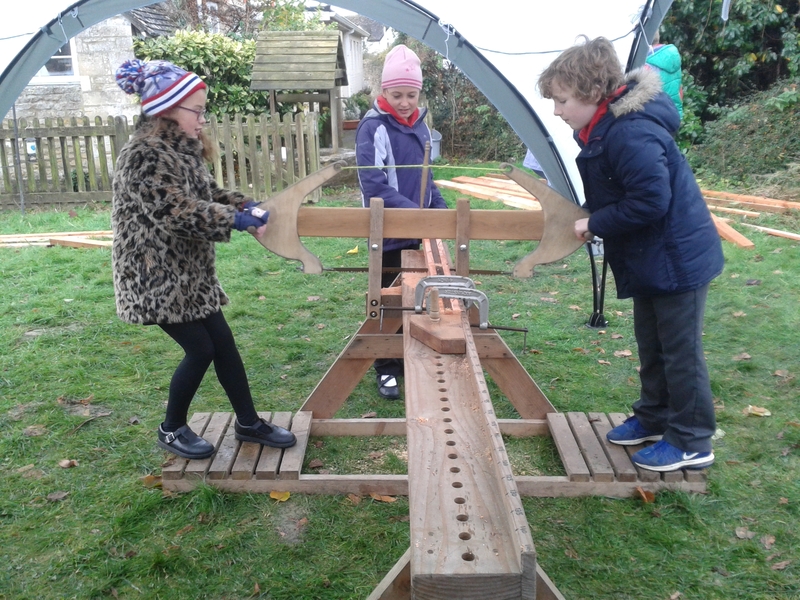 Imogen Radford from local company Wonderwood donated her time and skills to create a willow weave shelter with the children. 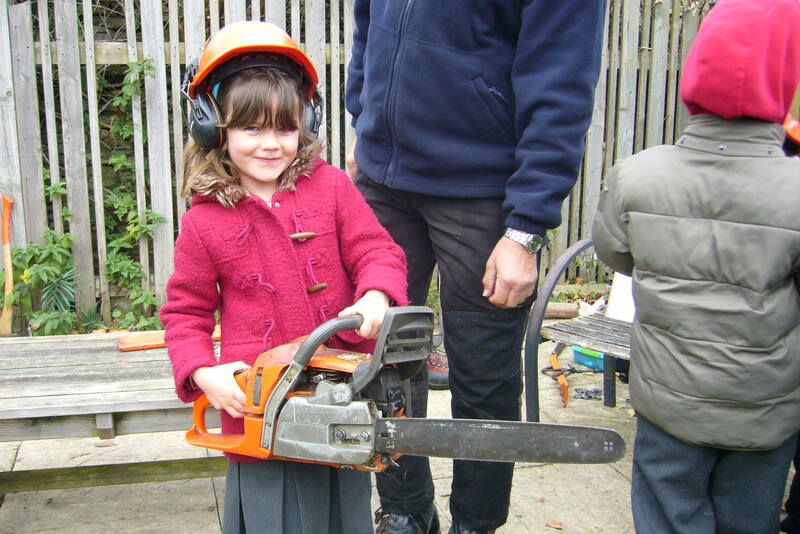 Local companies Nicholsons and Barlows generously provided trees and building materials. 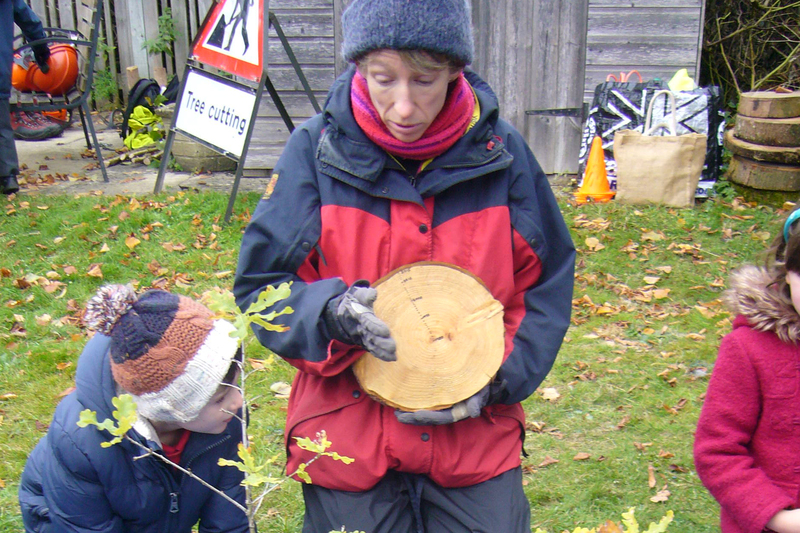 “It was a privilege to be involved with the original OneOak project, our children got to know the OneOak tree; studying it, measuring it and drawing it. 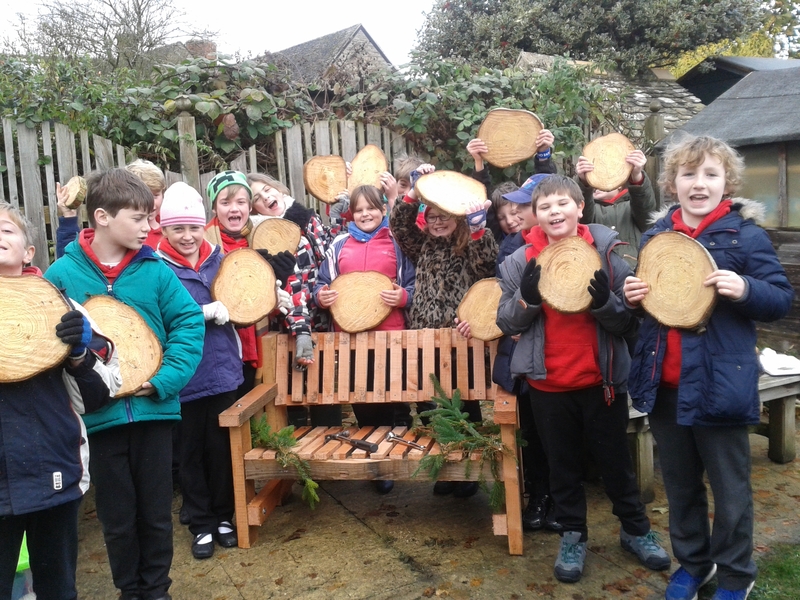 We then witnessed the unforgettable felling of the beautiful tree followed by the processing of the timber to make a range of oak products from furniture to fuel pellets. 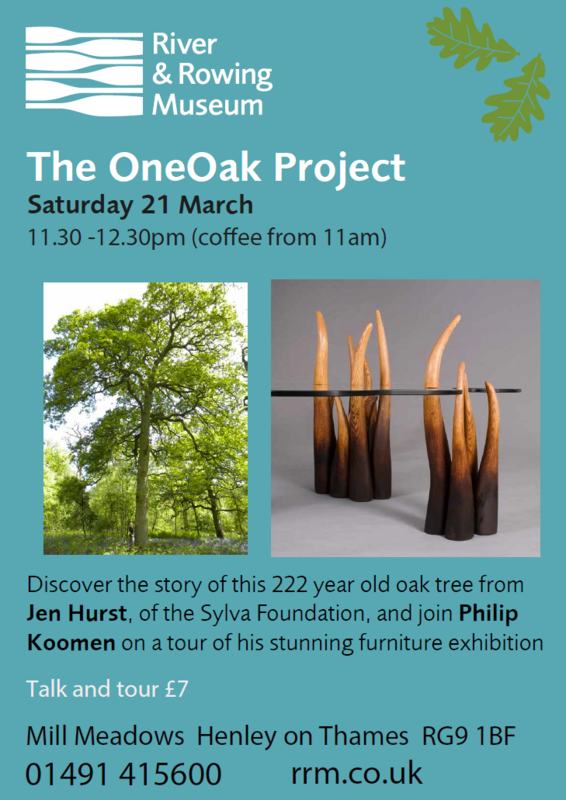 On Saturday March 21st, at the River and Rowing Museum, join Sylva’s Jen Hurst and Master Craftsman Philip Koomen for a ‘forest to furniture’ talk and tour of the stunning wood craft exhibition. 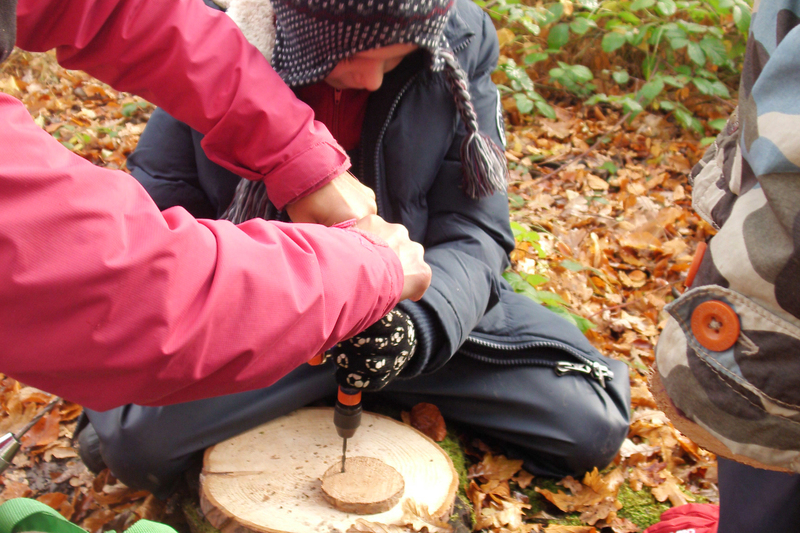 Two years on the OneOak project continues to inspire people with its unique message of sustainable forest management, creativity and education. Find out how Sylva is building on the success of OneOak to launch a new national education project for teachers and educators. 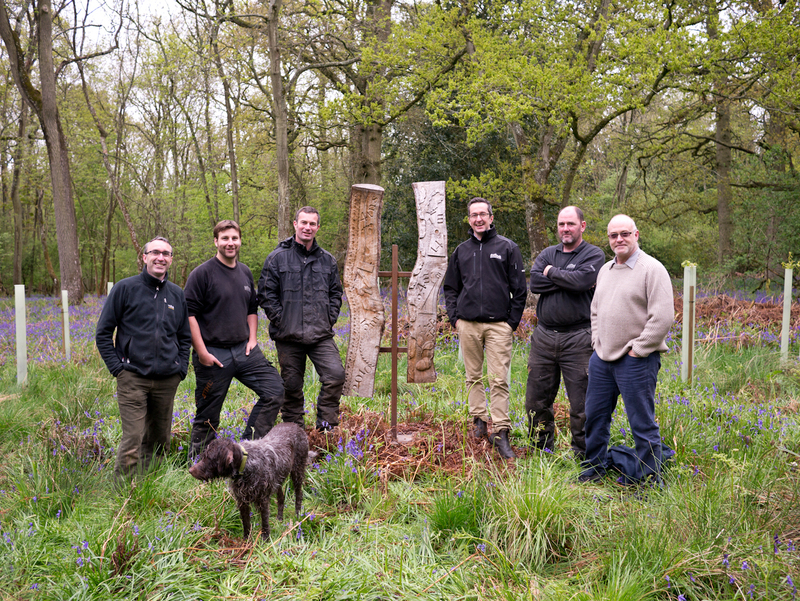 In the final act of the OneOak project, today we returned the OneOak memorial sculpture to its rightful home; to the woodland at Blenheim Palace. 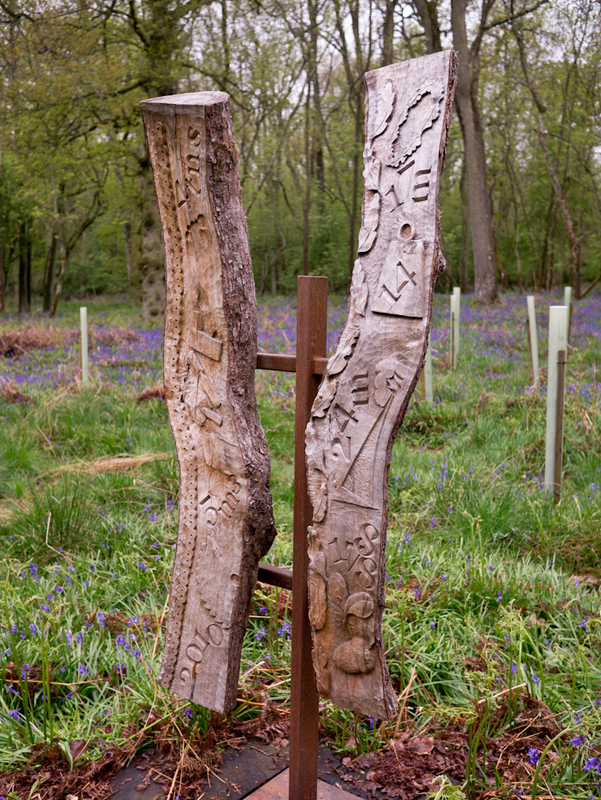 The sculpture, designed and made by Simon Clements, toured around all the OneOak exhibition venues during 2011 and 2012 but it was always destined to rest on top of the stump of the OneOak tree that provided the inspiration and material for the three year project. 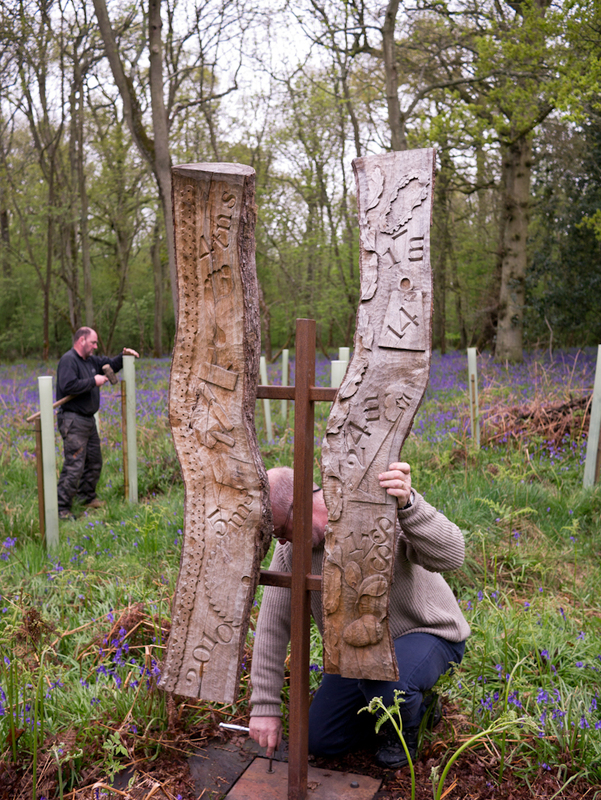 The sculpture will now remain in the woodland to weather and grow a natural patina of mosses and lichens, surrounded by a small forest of 250 oak trees. 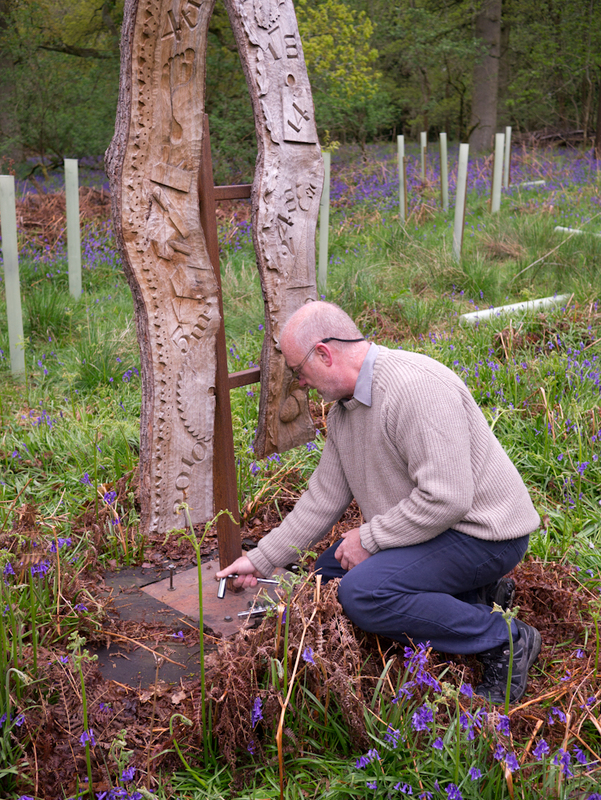 The OneOak sculpture returns fresh from its journeys around Britain – last seen in Edinburgh! 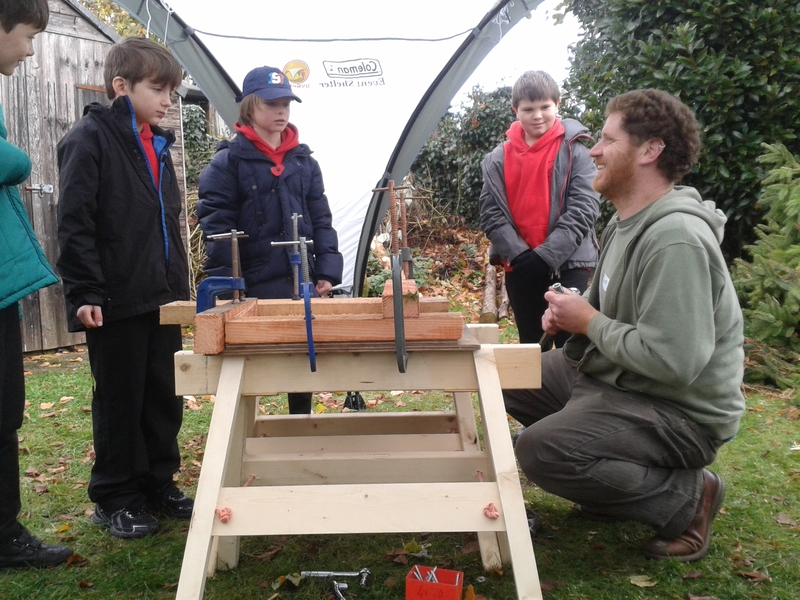 Our thanks to Simon Clements and the forestry team at Blenheim Palace.